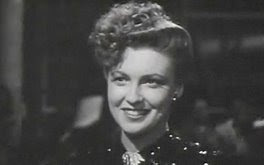 I love Joan Leslie. She never got the attention or acclaim she should have. Thanks for posting her birthday KC. I agree Monty. I would have loved to have seen her in stronger parts, because I think she had a bit of an edge. You could sort of see that in "Born to be Bad"